Thanks to America’s 25-year import ban, and the principles of math, we are finally beginning to see some of the cooler 1990s Japanese cars here in the states. Honda Beats, Suzuki Cappuccinos, right-drive MR2, and ubiquitous Nissan Skylines. But it turns out the law has some unintended consequences too: the Mitsuokas are coming. This has to be a breach of some international treaty, right? Well, everyone’s least-favorite Nissan 240SX variation has finally made its way to the shores of the United States. 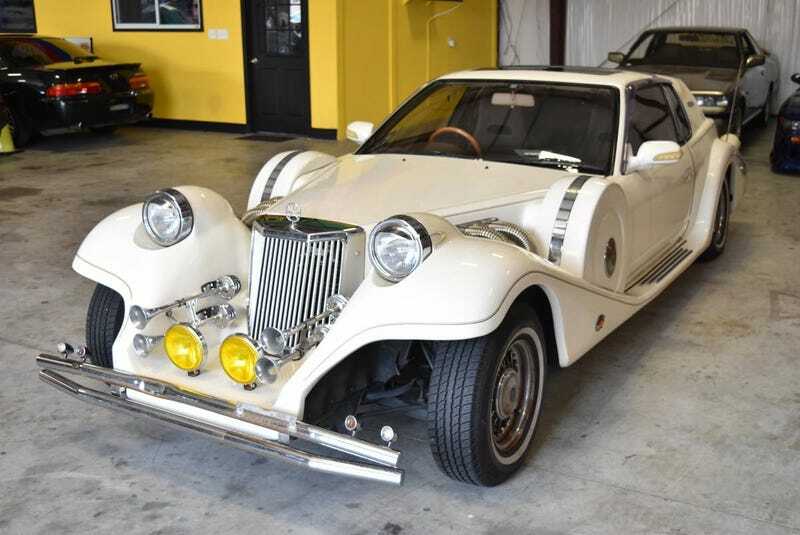 Someone is selling their imported Mitsuoka Le Seyde on Craigslist. You can live out your Neo-Baroque Japanese dream for $17,995. I’m not going to tell you how to spend your money but there are literally thousands of better cars for sale. But, if you want a car that looks like a Duesenberg that came from the dollar store, I’m not going to stop you. Mitsuoka, if you’re not familiar, is the Japanese carmaker and coachbuilder that has been making small cars and sports cars look vaguely like old Rolls-Royces (and sometimes 1970s Cadillacs) for decades now. While we’re on the subject of international treaty violations, they also made the Orochi. The seller, Shinku Classics in Houston, touts how rare this car was in the early ‘90s. According to the seller, only 500 were made (for good reason). The car is actually in very nice shape with no visible major defects or body damage. That’s probably because no one wanted to drive it. The odometer reads only a little over 29,000 miles on it. Remember, it’s a Nissan underneath so it will run way longer than it should. The interior doesn’t match the exterior at all and looks like every other right-hand drive 90's Japanese coupe with some minor lighting modifications. Aside from this strange dichotomy, there isn’t really anything wrong with the car. It will probably run and drive fine but would you really want to drive it? For $7,999, Does This 1978 Datsun 200SX Have SX Appeal?